The CIA website looks back at General George Washington, our country's first spymaster. Long before General William Donovan recruited spies to advance the American war efforts during World War II as Director of the Office of Strategic Services (OSS), predecessor to the CIA, General George Washington mastered the art of intelligence as Commander of the Continental Army during the Revolutionary War. 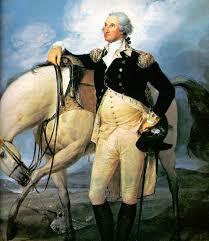 Washington was a skilled manager of intelligence. He utilized agents behind enemy lines, recruited both Tory and Patriot sources, interrogated travelers for intelligence information, and launched scores of agents on both intelligence and counterintelligence missions. He was adept at deception operations and tradecraft and was a skilled propagandist. He also practiced sound operational security. Washington fully understood the value of accurate intelligence, employing many of the same techniques later used by the OSS and CIA. As we celebrate the 284th birthday of the first American President, we highlight some of the tradecraft employed to secure our independence from the British and offer insights on its use today. Were it not for the use of secret writing, concealment devises, propaganda, and intercepted communications, there may have been a very different outcome to the War of Independence.